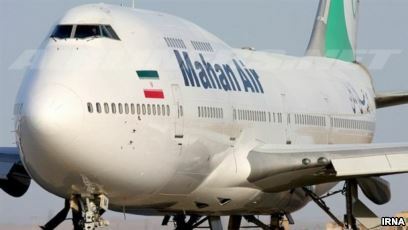 The Iranian airline Mahan Air loses its operating license in Germany. justified the move with security concerns, but also as a sanction for the alleged military use of the aircraft. Mahan Air flies in Germany so far Dusseldorf and since 2015 also Munich. The US government accuses the airline of transporting fighters and weapons to Syria and has been on the sanction list for some time. Already in December, the local media reported that Germany wanted to withdraw the airline landing rights. Mahan had denied it then. Although European states continue to hold the nuclear deal with Iran, unlike the US, the relationship is tense. Only recently has the EU imposed new sanctions. According to investigators, there were plans against exile Iranians in France and Denmark. Behind it, the authorities suspect the Iranian intelligence service. In Germany, a suspected Iranian spy was also found in the Bundeswehr. Iran’s government rejected all allegations.